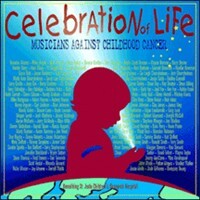 Recorded “live” 2007 at the annual Musicians Against Childhood Cancer bluegrass festival in Columbus, Ohio, Celebration of Life is a 2-CD set that features spirited performances by many of the top artists in bluegrass today, including IIIrd Tyme Out. 136 bluegrass musicians, 37 songs, 2 CDs. 1 special reason — to benefit St. Jude Children’s Research Hospital.